The coastal region of Aigialia (with its capital Aigio / Egio) in the east of Achaia is one of the most beautiful and most interesting areas of northern Peloponnese. Athens is 210 km away (airports: Athens-Eleftherios Venizelos) and Patras, the capital of the district Achaia, is only 30 km away. The airport of Araxos, which is only for charter flights, is 75km from Harmony. This wonderful landscape is a contrast of breathtaking clean beaches of the Corinthian Gulf (Aigialia means coastline), fertile agricultural land (citrus and olive trees), lush hills (known since antiquity for its currants and vineyards) and imposing mountains. In this mountainous landscape you will find typical mountain villages, hidden monasteries and forgotten historical sites. At the foot of the Chelmos mountain (2,340 m above sea level, a popular skiing area of this region), lies the famous town of Kalavryta. The town is reachable from the coastal village of Diakofto via the Vouraikos gorge by cog railway or automobile. The most important archaeological sites (Olympia, Delphi, Corinth, Epidaurus, Mycenae and Athens) are easily accessible from here on a day trip. Look no further; all relevant information about transportation is one click away. You can arrive at either Eleftherios Venizelos airport in Athens (200km from Harmony) or Araxos Airport near Patras, Peloponnese (70km from Harmony). 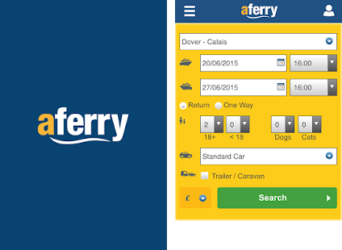 In case you should arrive in beautiful Longos with your own car, you can search and compare the ferry tickets by using one of the world’s largest online ferry ticket distribution networks. Should you need a good rental car during your stay in Longos. 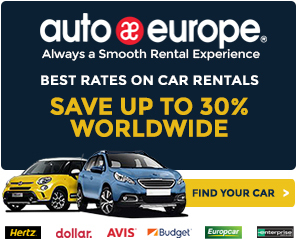 Autoeurope – one of the leaders in worldwide rental services.